Dr Daniel Baldino is a political scientist specialising in Australian foreign, defence and security policy including counter-terrorism, intelligence studies and government and politics of the Indo-Pacific at the University of Notre Dame, Fremantle. In 2000, he was a Research Associate at the Library of Congress, Washington DC. In 2009 he was a visiting scholar within the Security and Governance Program, East-West Center, Hawaii, USA. In 2015, he was a visiting scholar at The Canadian Centre of Intelligence and Security Studies, University of Carleton, Ottawa. He has also provided education and professional development programs at the University of Fiji. He has produced numerous books and articles. 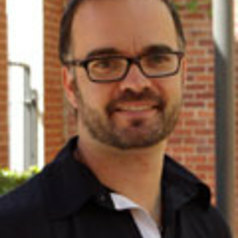 His edited book (with Langlois, A and Carr, A) Controversies in Australian Foreign Policy: the core debates, published by Oxford University Press, was the winner of the Australian Institute of International Affairs' inaugural publication grant. He is currently the Western Australian chapter convener for Australian Institute for Professional Intelligence Officers (AIPIO).